Whether it's an eye exam and contact lens fitting, or treatment for an eye infection and corneal mapping, our TSO Magnolia eye doctors provide complete eye care to patients both young and old. We also treat a range of disorders such as glaucoma, the diabetic eye, dry eye, and macular degeneration. Schedule an eye exam online. Texas State Optical provides comprehensive eye exams. 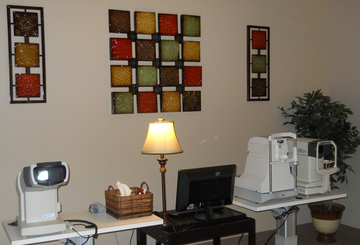 Get the latest eye exam services at our Magnolia eye care office. Despite your age or physical health and wellness, it's vital to have routine eye examinations. Read more below about our comprehensive eye exams. Early identification of a child's vision problem is crucial. As parents you might wonder whether your pre-schooler has a vision issue or when an initial eye exam ought to be arranged at our Magnolia eye doctor. What a great experience! Great people and fantastic O.D. Dr. Jew is great! Dr. Christy Jew is patient, professional, kind and thorough! Her entire Staff is amazing! Will never go any other place for my eye care, glasses, contacts, etc.!! Would highly recommend to anyone!!! Every process was actually fun, and learned a lot !!! Most impressed with people, service and price. Thank you for making my eye exam and frame selection one of the best ever! From the education of my eyes and keeping healthy to the frames...your team is tops! Dr. Jew loves what she does and genuinely cares about her patients eye health and eye care needs. Her staff is ccourtious, perfessional, and extreamly knolowledgeable about proper fit and appearance of your glasses. The entire staff helps without being pushy. Already made a follow-on appointment. We've visited 2 other doctors in the area since our move here last fall. My husband and I will be switching when we next need to have our eyes re-examined. Great place. The lady who helped me was honest and didn't try to oversell something I didn't need just to sell a higher priced frame. Thank you do much for taking care of my family!!! The staff was very knowledgable and first class. Christy, Preston, and Dawn are fabulous!!! Very helpful and over all generally concerned about each need we had!!! Love them!! Just loved Dr. Christy and the staff very helpful, caring and understanding! Dr. Christy is awesome great with little ones too took my 5 yr old there for an cornea abrasion - hardly a whimper out of him after the first couple of minutes.